You know that voice, the annoying one inside your head that’s always saying things like, “you should workout more,” or “you shouldn’t have eaten so much,” or “you should be skinnier…” or sometimes even worse things like, “you’re a fat pig,” or “you’re stupid,” or “you’re dumb,” or “people hate you…” or “people will think that there’s something wrong with you…” do you know that voice? If these voices sound familiar, you are intimately acquainted with your inner critic. In simplest terms, your critic is the super-ego run amok. Your super ego is the part of your psyche that is set up to keep you from acting on the drives of your id. Freud described it as “retaining the character of the father.” So, basically, your super-ego is the internalized voice of the disciplinarian. Your super-ego keeps you from acting out on your dangerous urges. In those of us with eating disorders, the super-ego is overdeveloped and becomes out of control. It becomes not a way for us to maintain healthy boundaries, but a structure set up to emotionally abuse us if we step outside of the rigid framework that we’ve created for ourselves. Why does the critic develop this way? There could be several reasons, or no reason at all. Some people have highly critical parents who only loved you when you did something right and punished you when you did something wrong. Some people might have parents who were very loving toward them but not very loving for themselves. It’s difficult to learn self love when it’s not modeled for you. The critic tells you that there’s something wrong with you, when there’s probably nothing wrong with you. The critic tells you that other people are thinking that there’s something wrong with you, which might or might not be true, either way there’s nothing you can do about it, you can only really change your view of yourself. In the next entry, I’ll be discussing some ways to work with the critic. I can’t tell you that I fully understand anxiety. I’m not sure why some people are controlled by their anxiety and some people are fully able integrate life into their day-to-day without being ruled by anxiety. Anxiety is fear on caffeine pills. Often times, binges come out of anxiety. The flood of seratonin that you get from the binge will help calm you down. Hellish bliss. Because then, comes all the anxiety from the binge. Did I just make myself fat? Am I fat? Should I purge? What should I do? I just ruined it! Anxiety is not simple. And it’s sneaky. Even if you try to interupt your thoughts, it will come back in other ways. Delving into the anxiety is one way that I believe it will begin to dissipate. Sometimes a thought pops up. And then, before you know it, your head is in the refrigerator. Possibly going back to the thought again and again and being with the anxiety a bit until the shock of it dulls a bit. And then following the anxiety to the source of it. Most anxiety, in it’s truest form is existential angst, the fear of death or being alone and dying alone. Anything that we can do to lessen that fear, (which puts us in a place of uncomfortable, heightened state of vigilance) we will do. Bingeing is certainly one way to lessen anxiety. But clearly not the healthiest. And it becomes a vicious cycle. Other ways to work with anxiety. 1. Acceptance– when you accept that you have no control over life, an amazing sense of peace drapes over you. Also known as surrender. 2. Meditation— lessens anxiety. Allows you to be in the present moment. 4. Sleep– getting enough sleep balances brain chemistry to help lessen anxiety as well. Women are pretty. Women are sweet, petite, and certainly not angry. Did you grow up thinking that? I would either completely avoid my anger (starve myself) or stuff it all down (binge). I would then deny that I had any anger, “I’m just not an angry person,” I’d tell my therapist. Now, when clients say that to me, and they often do, I remember how difficult my own process, of accepting and navigating my anger was (and continues to be). And it’s true. I think that one of the reasons women tend to stay away from anger is because we don’t want to be seen as out of control, desperate, or difficult. We want to be easy, laid back, with a devil-may-care attitude. Like Holly Go-Lightly in Breakfast at Tiffany’s. But let’s not forget that she wrecked her whole bedroom, tearing pillows apart, feathers flying everywhere and generally went nuts when her brother Fred died. I say hurray to Holly G! You be in your process girl! And maybe the uptight Prime Minister of Brazil thought she was too volatile and not right for him, but fake Fred (Baby) loved her. No matter how nutso she went. And he accepted her anger. And he loved it. Love, humanity, etc. will exist not despite your anger, but with it. And there are fun, healthy ways to process anger. 1.) Angry letters, written with ballpoint pens that you can press hard with. 4.) Just being grumpy for a day or two and being okay with it. And then telling people, “I’m grumpy! So what! Let me be grumpy!” And finding people who are okay with that. Not everyone will be. Like, maybe in the workplace, not the perfect setting. 5.) Stomping up a hill in heavy boots. My point is not that we should walk around angry, but at the same time, we can’t avoid it. It will get stuck, repressed, and that’s how we become toxic and depressed. Depression is anger turned inward, which is why so many women are diagnosed with depression. Allow it to move through you and work itself out. Try to figure out if you are having the urge to stuff your anger. If you are, think of different ways that you might be able to move that energy. While getting food out of the house is can certainly be a helpful ritual– the cleansing of the surroundings, the control and empowerment involved in that action; it is not the one act alone that will put an end to the food issues. 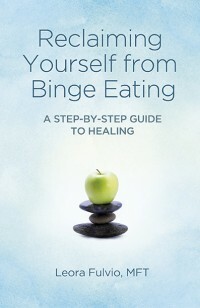 First off, most people who binge don’t really have binge foods in their house. In fact, most binge eaters and bulimics don’t have any food in the house other than the bare basics. Why? a) They don’t trust themselves. — They are afraid of the binge, so they remove the temptation. b) Most are black & white thinkers– because of that rigid thinking, they believe that if it’s in the house, they have failed and they must get it out so that they can start their day fresh and new. If a binge eater wants to binge he or she will usually leave the house to buy their binge foods. Many supermarkets are open all night, so this really isn’t a problem in most urban areas. So, does getting the trigger food out of the house work? Maybe a little. But not really. Beacause food is not the trigger. You can’t get rid of the trigger. The trigger will happen nonetheless. FEELING FULL. — this is ironic, but often, when someone with food and body image issues is feeling full, they will binge. The feeling of being full is so uncomfortable that they need to numb themselves to it. Some possible help for this trigger. c.) Doing something to distract yourself and reminding yourself that the feeling will pass as you digest. Why? We’re not allowed to be angry. As children many of us were given food to shut us up, which in turn brought us comfort. What else can we do when we’re angry? Cry! Get support! Throw a good old fashioned temper tantrum.